President Donald Trump, Pence himself, and all Americans unwaveringly support the Venezuelan people in calling for freedom, the vice president conveyed in the video. “Nicolas Maduro is a dictator with no legitimate claim to power. 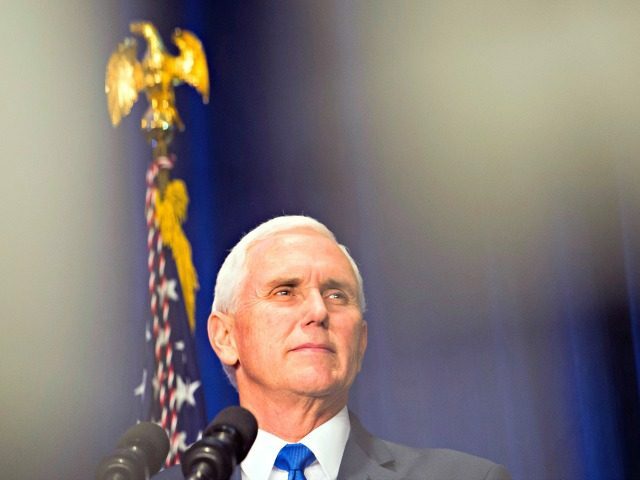 He has never won the presidency in a free and fair election, and has maintained his grip of power by imprisoning anyone who dares to oppose him,” Pence said. On January 23 the people of Venezuela are planning to march to restore democracy to their country.
.@AsambleaVE remains Venezuela’s only valid democratically elected body. The Supreme Tribunal of Justice has no more legitimacy than does #Maduro. We support the call for all Venezuelans to work together peacefully to restore constitutional government and democracy in #Venezuela. “Muchas gracias y vayan con Dios,” Pence closed out his video message.